Use weather strips around windows and doors to prevent air leakage. 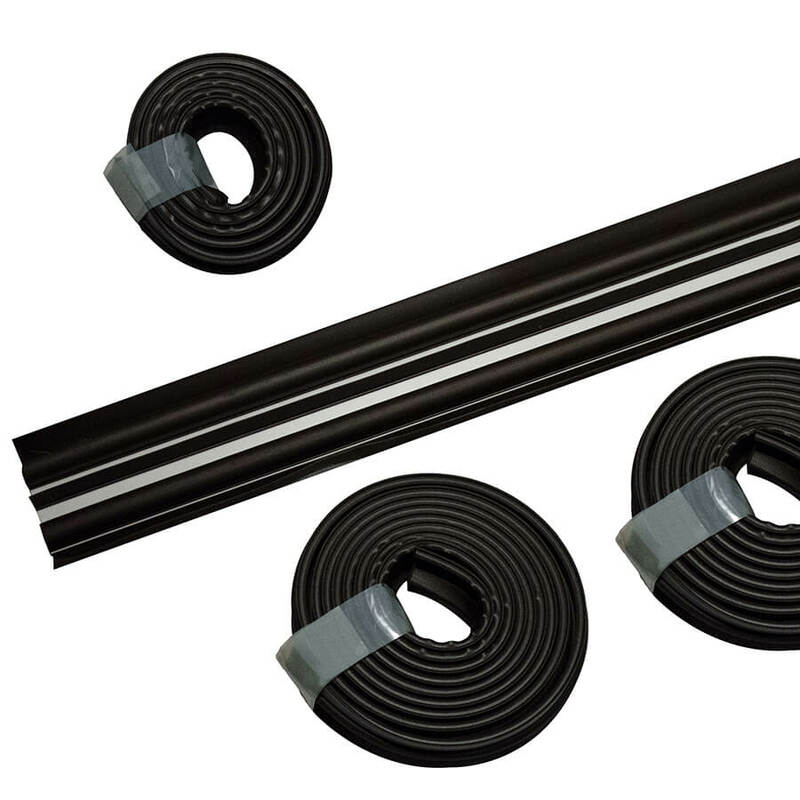 As your mother or father probably said, “Close the door, are you trying to heat/cool the entire outside?” Once you weather strip, use caulking to finish sealing off any remaining air leaks. This is not a one-time fix, you will have to inspect every couple years, but is well worth the effort. Caulking comes in many colors to match your home, and depending what type you purchase there may not be a need for a caulking gun. If you decide to get one, it will pay for itself many times over, they are seriously not expensive. As an added bonus, sealing the windows and doors also keeps insects out. That makes the rest of the family happy. This is easiest done when building of course, but if that is not an option you can do it yourself easily. Purchase pipe sleeves or fiberglass insulation, make sure you measure for a snug fit. This cost is less than $15.00 and saves up to $20.00 annually, not bad for an afternoons worth of work. So much better than a standard screen door, retractable doors are completely hidden from sight and definitely not in the way when bringing in packages or groceries. We all love the smell of fresh air in our homes when weather allows. They are also energy efficient. By opening up your entryways, you are allowing that fresh air to flow freely reducing the need to run air conditioning, heat, or other air quality products around your home. This sounds intimidating, but is still for do-it-yourselfers. Low-E Door Glass windows are coated inside the glass with an ultra thin invisible layer that reflects infrared heat. This means a lower heating bill in winter and less expense cooling your home in the summer. According to energy.gov, low-e windows provide a 12% – 30% annual energy savings, which translates to up to $300.00 each and every year. Homeowners in warm states should use an R-38 insulation, while those who live in colder locations should use an R-49 to for the most effect. Remember to keep insulation away from lights, vents and exhaust fans. Bring your weatherstripping and caulking to the attic as well, airtight means lower heating and cooling costs. We are here at Zabitat to assist with the purchase your new energy (and money) saving windows and doors. If you prefer to do it yourself we offer assistance from the beginning of your project to the end. How you might ask? We guide you with appropriate tool selection, explicit instructions, videos of the process, and live customer support. Should you determine you do not have the time but still want to proceed with the project, consider it done. We have installation experts who would be happy to help your out with your project. Contact us to see the variety of windows and doors we offer to not only add beauty to your home but to save you money on heating and cooling it.